Protect your family and your property with security and surveillance systems designed, installed, and maintained by Amplex Technology Services. We take your security seriously. To that end, we provide a custom solution to your home and business security needs. Implementation is just the beginning of what we offer. We won’t leave until we confirm that your system is functioning properly, and, more importantly, that you know how to use it. 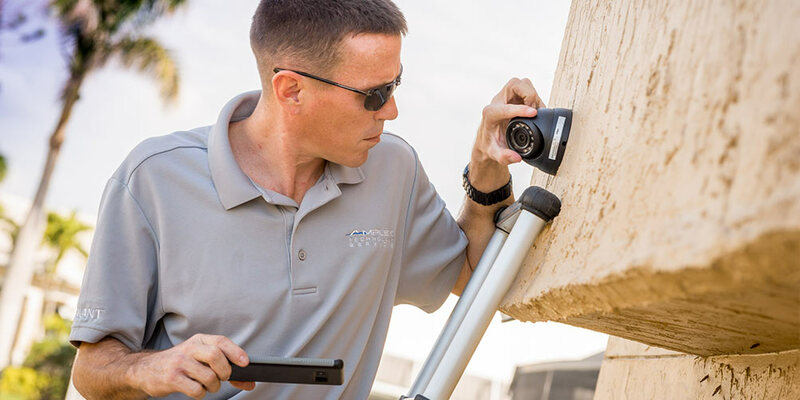 We sell and install security systems that encompass all aspects of home and business monitoring. This includes video surveillance, for burglary alarm systems, temperature, water & flood, smoke & fire alarm systems, medical alert monitoring and much, much more. Monitor every aspect of your home, business, boat or RV with your mobile device. Open and close doors, turn on/off lights, TVs and alarms systems, as well as see exactly what is going on inside and out in real time. Sleep better knowing everything is OK.
View Your Surveillance Cameras on Your Device Anywhere in the World! 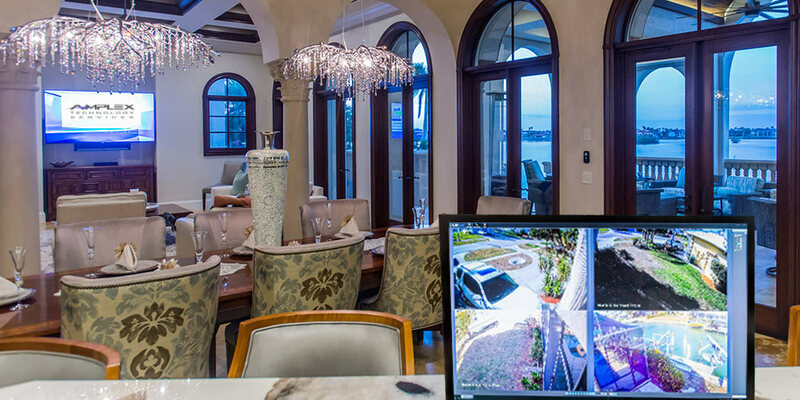 Integrate your security and surveillance systems with a custom smart home automation system. We only sell, install, and maintain the highest quality, performance-based equipment.